Is There a Boundary Between Your Personal and Professional Self? Home » Is There a Boundary Between Your Personal and Professional Self? The forecast for 2016 is toward more personalized fitness programs and away from large bootcamps one-size-fits-all. 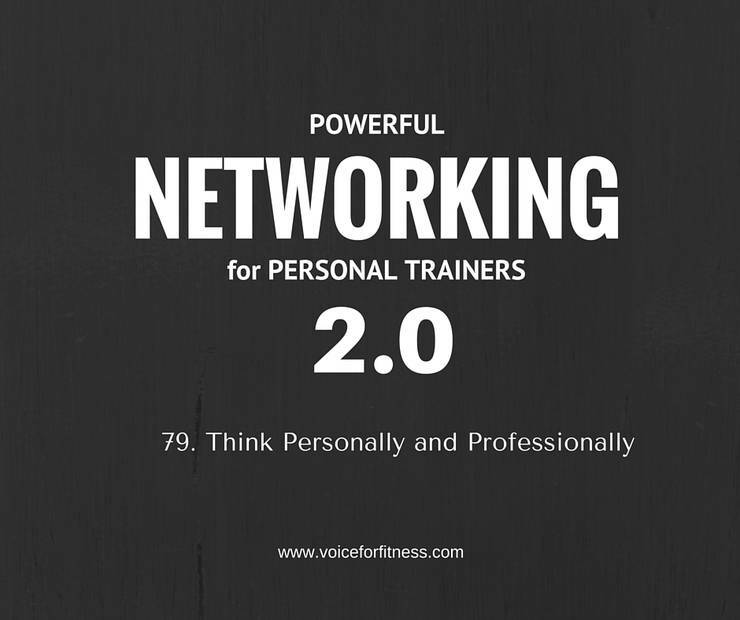 That creates a huge opportunity for personal trainers who are educators. Customers want the “why” and many want the the “how” so that they can do-it-themselves. Bootcamps of the exercise type may fade but that’s good news for creative and articulate trainers who can monetize and leverage their skills to educate. Because right behind that in popularity in 2016 is the “experience.” Customers don’t want a workout with you for an hour doing exercise after exercise. They want to be treated well not condescended to, to be empowered by coaching not given advice and instructions one after the other. They don’t want 20 something telling them in their 60s how to start an exercise program. They want an experience a peer can deliver. They want to be educated in a place they feel more comfortable – a chair. Why are you doing this job out of all the other vocations out there? Why at this venue? WHO are you? They want to know that. Are you honest, a mom, a terrible golfer? What? Just what is your story? Boundaries still exist between you and getting to the point where you would ever be embarrassed or embarrass a customer by telling or knowing too much. Yet, letting yourself show matters more in 2016 than it has before and if you’re not telling your story in a way to strengthen your connection to your customers you don’t realize that you could have more customers who are more satisfied.